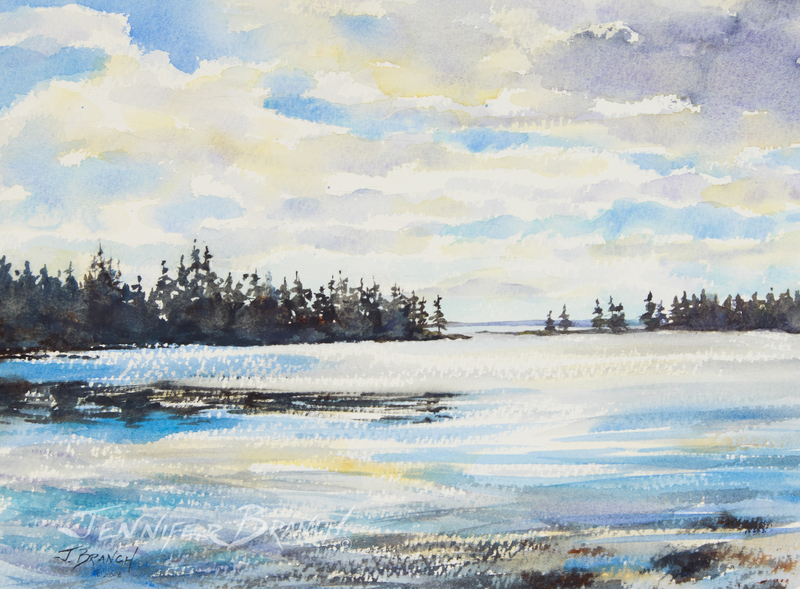 Imagine yourself sketching in the peace of a Maine Cove. The water shimmers in the light and your brush dances in your hand. 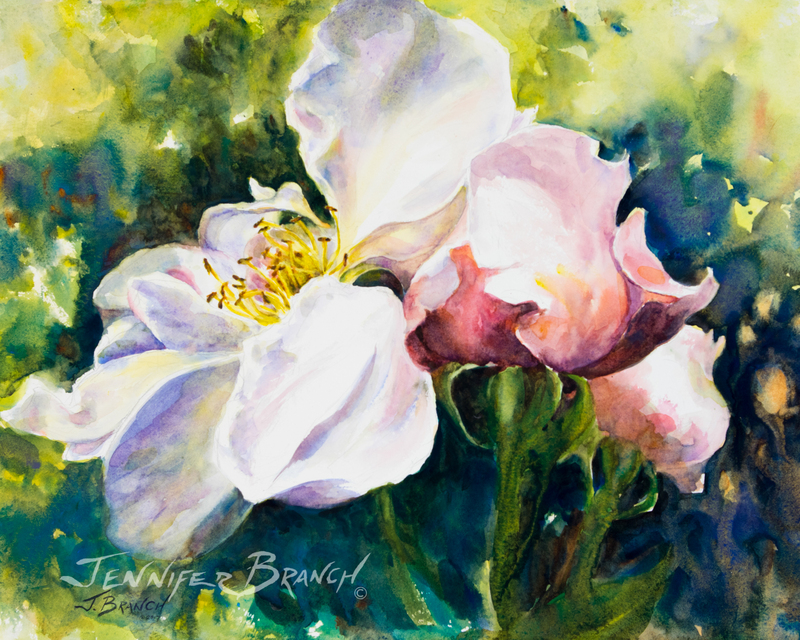 Put yourself there in this YouTube watercolor painting tutorial by Jennifer Branch. 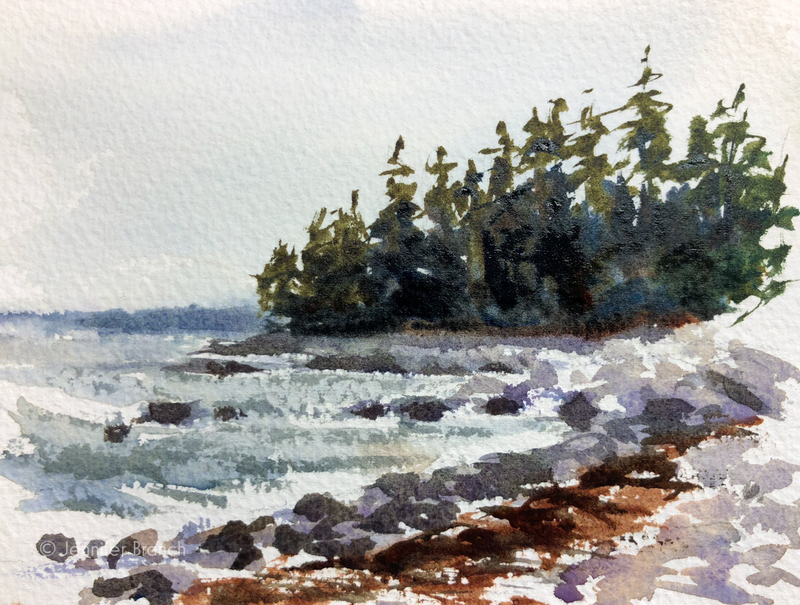 Imagine sitting beside this peaceful Maine cove, after a slow day of long walks through Acadia. The sun will start setting in a few minutes, but now the water shimmers with white light. The sky, faintly tinged with gold, goes on forever. 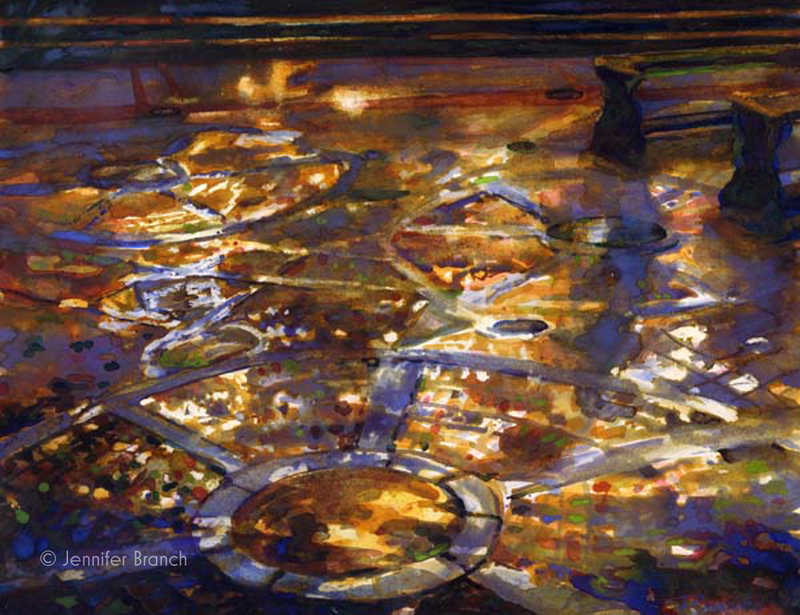 This original watercolor painting brings you back to that moment of perfect peace. Paint spring with a gorgeous cherry blossom tree! 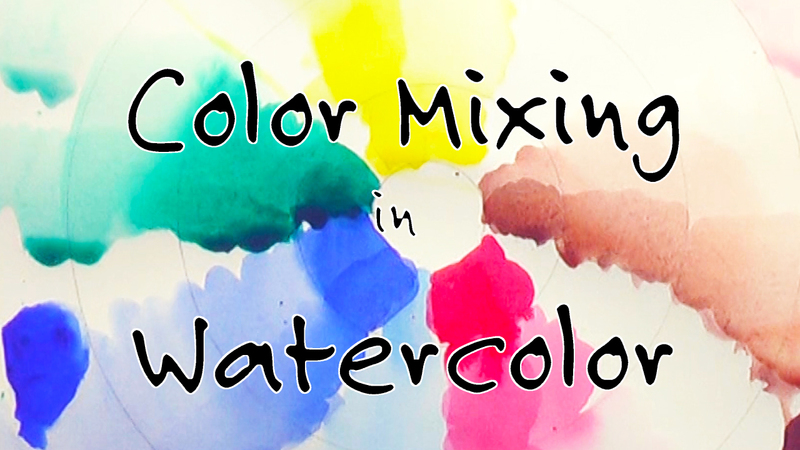 Complete YouTube watercolor painting tutorial. 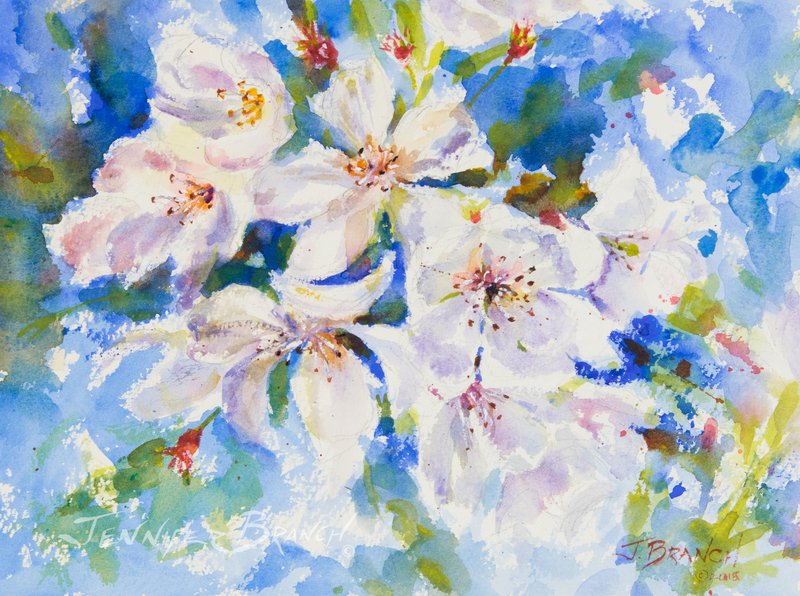 Spring begins with the lovely froth of cherry blossoms in this original watercolor painting by Jennifer Branch. Everyone has a lovely road near them, with interesting highlights and shadows. 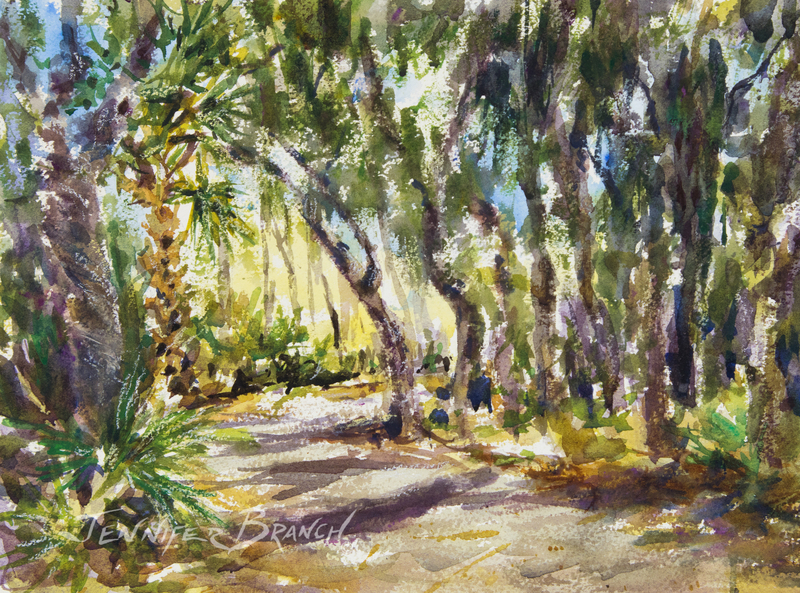 This watercolor painting tutorial of a coastal Georgia road uses techniques that can be used to sketch any road inspiring you. 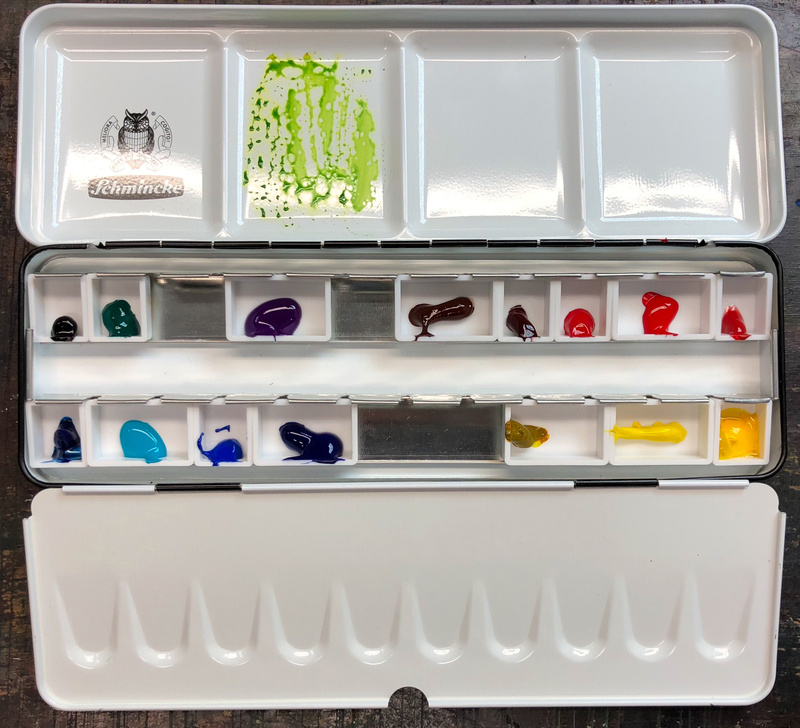 Here is a look at my new watercolor palette and paint setup. I am using a brand new Schmincke Aquarelle metal palette! 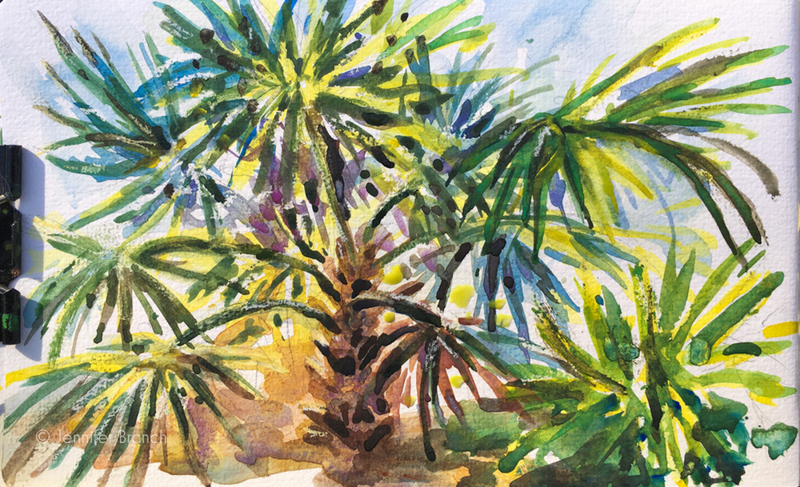 Coastal Georgia is a beautiful place for sketching! 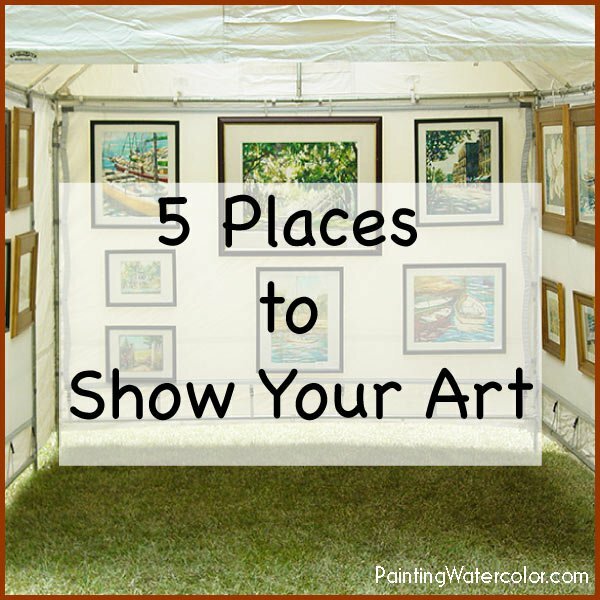 Let me show you what inspired me on these lovely islands. 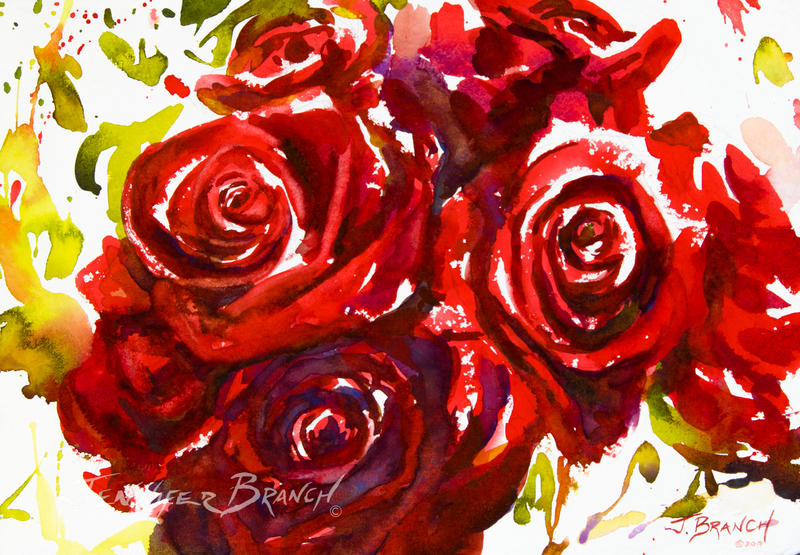 Paint some red roses for Valentines Day! 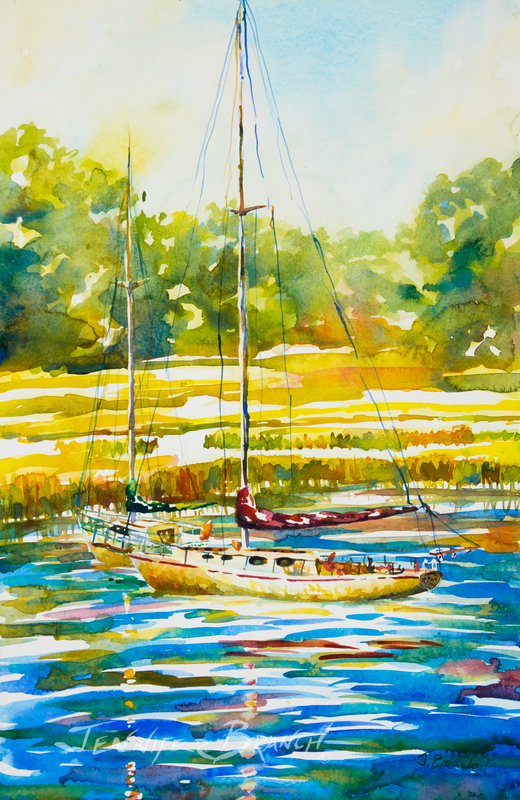 This step by step watercolor painting YouTube tutorial shows you how. 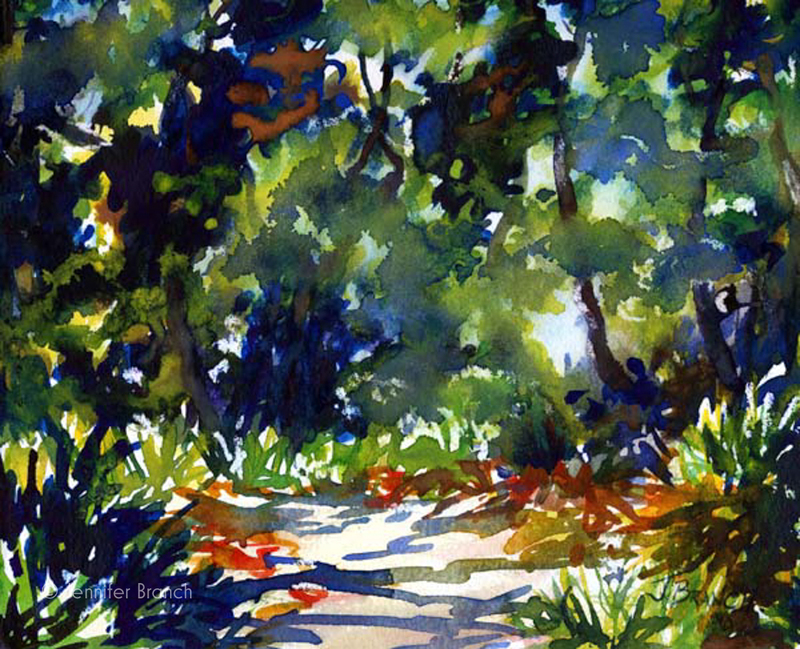 Take a walk in the woods today and paint a peaceful path. This is such a fun painting to do. There are multiple layers and a range of techniques - definitely a painting to play with! 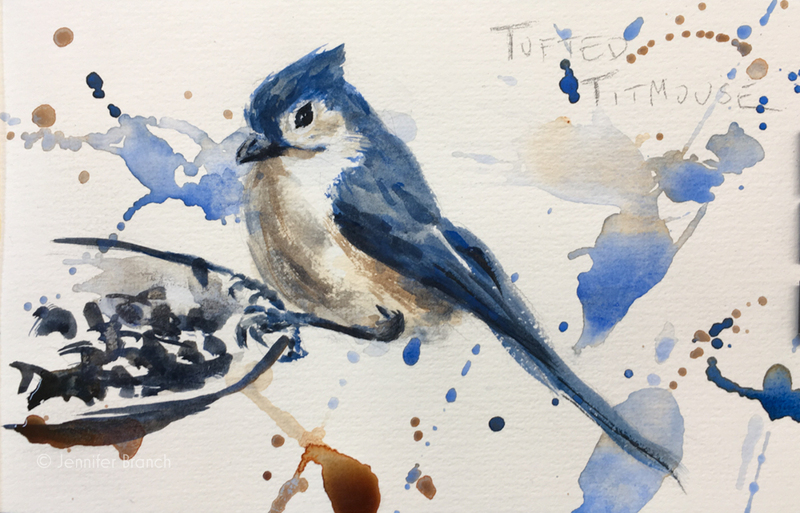 Start sketching backyard birds today with this easy watercolor painting tutorial! 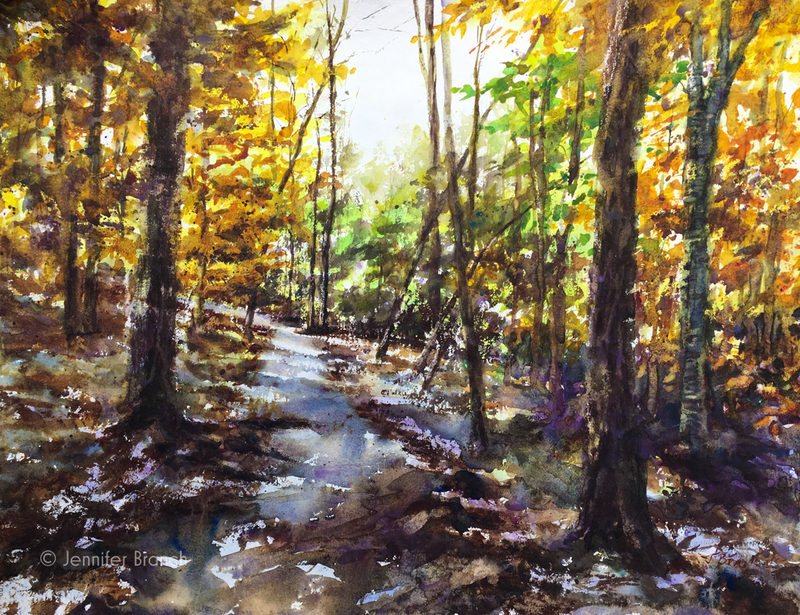 Watercolor painting of a lovely walk in the woods. There's nothing more rewarding than sketching birds at your backyard bird feeder. 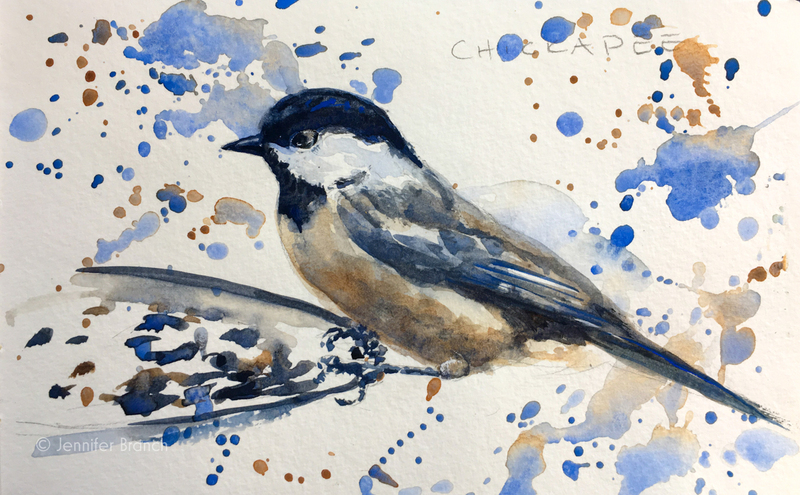 Here's a full YouTube painting tutorial of a chickadee! Fun sketches are as close as your backyard bird feeder. 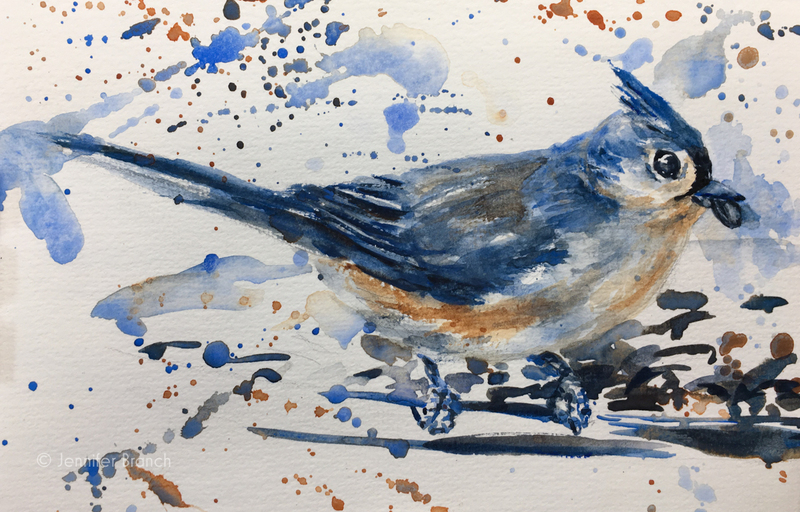 Try sketching this cheeky little tufted titmouse bird! Explode your creativity into new frontiers with this fun fireworks painting tutorial. It's the perfect way to start your New Year! 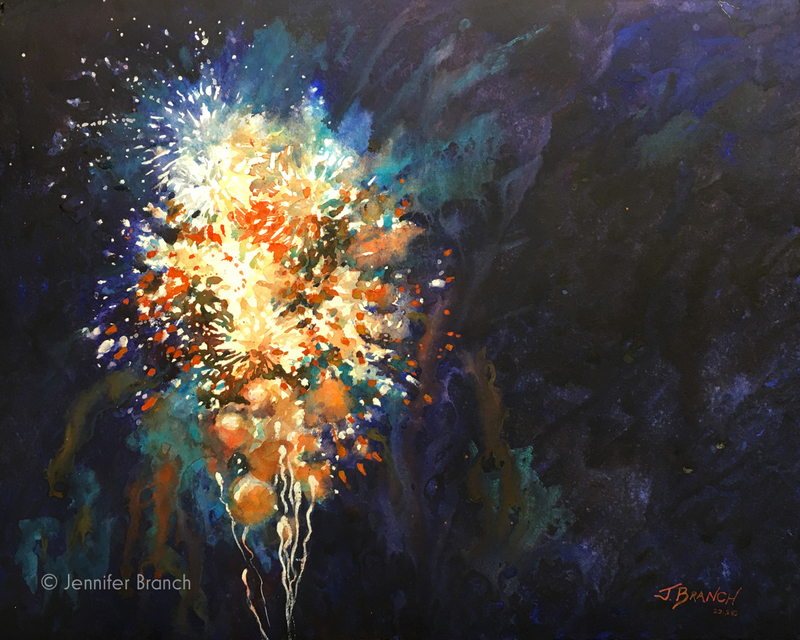 Painting of fireworks exploding in a night sky, glowing with light and color.